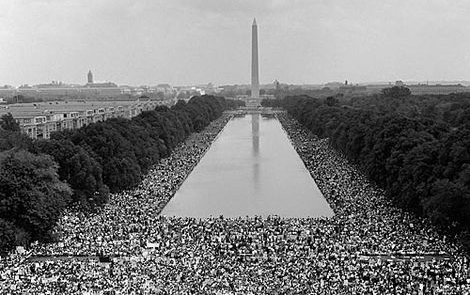 Faculty members, graduates, and students of George Mason University’s School for Conflict Analysis and Resolution (S-CAR) will be among the speakers during the 50th anniversary commemoration of the “March on Washington” when Martin Luther King Jr. gave his famous “I Have a Dream” speech. Earlier this year, D.C. Mayor Vincent Gray appointed a 22-member committee, led by civil rights activists and former council member Frank Smith. On Wednesday, at the African American Civil War Museum, the public is learning specifics about the D.C. Statehood rally that will commemorate the day.